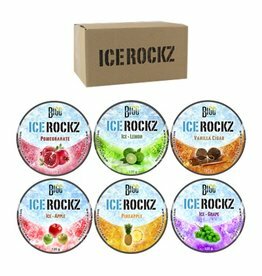 Ice Rockz Assorted 3 is exclusively available at We Love Shisha in these amazing flavours; Apple Fig, Blueberry, Gum, Raspberry, Honeymelon & Orange Lemonade. 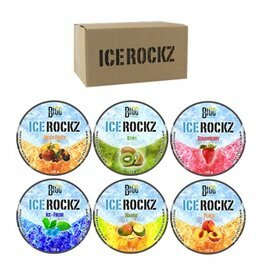 Ice Rockz Assorted 3 is exclusively available at We Love Shisha in these amazing flavours; Mixed Fruit, Kiwi, Strawberry, Ice Fresh, Mango & Peach. Smoking shisha without becoming addicted to nicotine? You can, with Ice Rockz! Available in 18 amazing flavours and also available in an assorted pack.